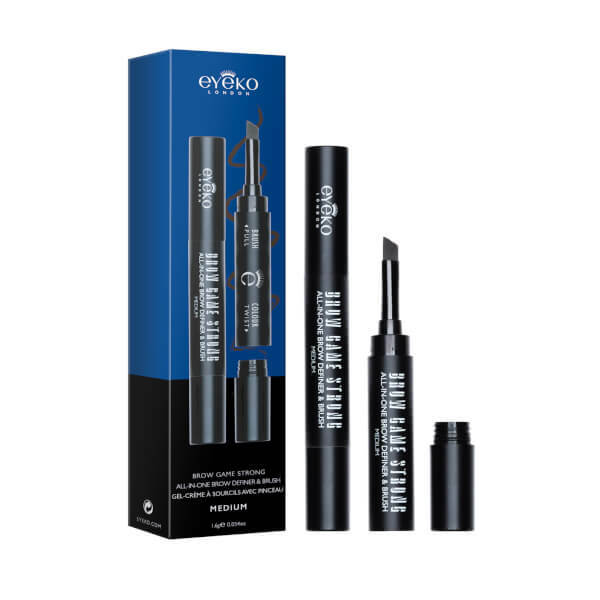 Put some bang back in your brows with Brow Game Strong by Eyeko; a 3-in-1 tool that lines, fills and sculpts to perfection. 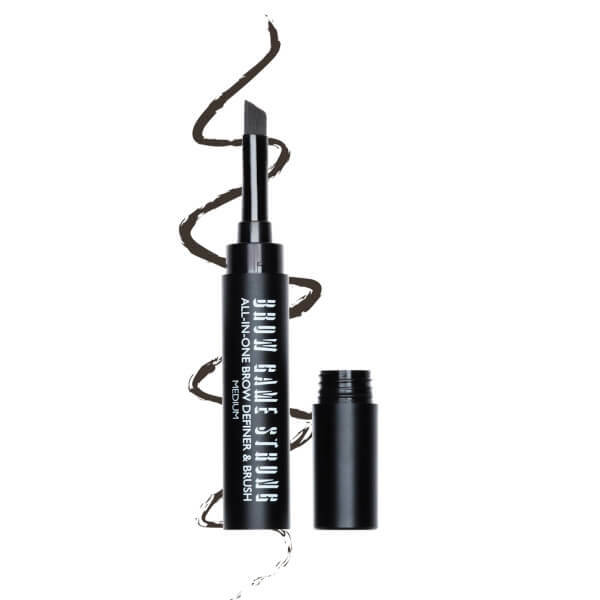 Comprising an angled brow brush at one end and a mini pot of brow powder at the other, the pen is effortless to use and ideal for touch ups on the go. The creamy powder is packed with pigment to add instant definition and volume, while the smudge-proof, long-lasting formula ensures your brow game stays strong all day. Pull the cap to reveal the brush, then twist off the other end and dip into the buildable colour. Remove excess before feathering on to brows starting from the centre working out towards the tail. Clean brush before replacing cap. Isododecane, Polyethylene, Cyclopentasiloxane, Talc, Trimethylsiloxysilicate, Copernicus Cerifera (Carnauba) Wax, Phenyl Trimethicone, Hydrogenated Polyisobutene, Disteardimonium Hectorite, Aminopropyl Dimethicone, Lecithin, Tocopheryl Acetate, Caprylyl Glycol, Triethoxycaprylylsilane, Phenoxyethanol, Propylene Carbonate, Hexylene Glycol, Titanium Dioxide, Iron Oxides (CI 77492), (CI 77499), (CI 77491).